So news is coming out today that Nickelodeon has plans to do movie that’s a giant mishmash of all its classic cartoons, and it’s to be written and directed by Jared and Jerusha Hess, of whom I am a rather large fan. For all you plebs out there, that’s the husband-wife tandem responsible for Napoleon Dynamite and Nacho Libre, among other things. Although Nickelodeon hasn’t been specific, cramming together the worlds of Rocko’s Modern Life, Ren and Stimpy, Aaahh!!! Real Monsters and others seems pretty great. Just imagine, POWDERED TOAST MAN vs REALLY REALLY BIG MAN! I think SpongeBob would be a nice addition, too, but I’m not sure how well Rugrats really fits in. I don’t know if Jim Jinkins (or perhaps Jumbo Pictures) technically owns the rights to Doug, or if he actually sold ownership to Disney, but that’s one classic Nicktoon I really wouldn’t want thrown in with the rest. Doug has always been a very special and personal show for me, and the fact that it’s grounded in the day-to-day minutia just doesn’t loan itself to the bizarre zaniness of the other classic Nicktoons. Unless they just decide to make the whole thing a really wonky daydream of Doug’s, but even then… I dunno. Doug is sacred to me and crossover just feels wrong. I know Nick’s also working on a new Hey Arnold! movie, which could potentially be something special, but I admit I do feel a bit apprehensive about the idea of just resurrecting all these classic shows some twenty-ish years later. If you’re Nickelodeon, I think you really run the risk of tarnishing the good will you’ve been building with ‘millenials’ (ugh, I hate that word) over the past couple of years if any of this turns out to be less-than-ideal. I mean, do you go back and get all the creators and original writers in an attempt to make everything feel right? That’s great if you can, but if you can’t, how well can you pull it off?? Craig Bartlett, John Kricfalusi, Joe Murray, all those guys – are they going to come back and give some input? It’d be nice. And then the voice actors – if you can’t get the original cast, then your new folks better sound identical. Sadly, Christine Cavanaugh, the voice of Chuckie Finster, passed away a little over a year ago. So if Rugrats are included, I know they’ll have to find a replacement. And Ernest Borgnine (Mermaid Man) passed away three or four years ago, too. This is a big idea, and I like the premise, but there’s a huge risk in attempting something like this. 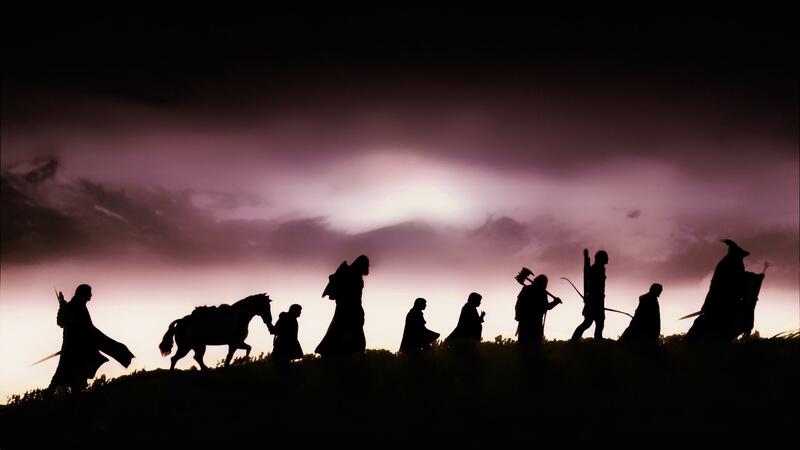 About four and a half years ago, the extended editions of The Lord of the Rings trilogy were released together as a box set on Blu-ray. These are the longer, preferred versions Peter Jackson would rather you watch – the director’s cut – rather than the (slightly) abridged theatrical releases. Each movie runs an average of 242 minutes, putting the total run time for all three films at just over 12 hours. That’s not including the few extra minutes between films for changing discs and loading. So a few days after the box set was released, at around 12:30 PM on hot afternoon in early July, my friend Brian and I emptied our bladders, collected our snacks, cracked the tabs on our cans of energy drinks and got comfortable at opposite ends of the couch. From that point on, I didn’t move from where I sat, except to change out the discs (at which point I’d use the bathroom as the movie loaded up). Sadly, Brian had to drop out after The Two Towers, but that means he still lasted eight hours. I, however, soldiered on. And at about 12:45 AM in the morning, I completed my journey. Just as Frodo and Sam made it from Bag End to the mouth of Mount Doom, I, too had lasted the entirety of my odyssey. I mention this only because the extended editions of The Hobbit trilogy are to be released in a box set on Blu-ray tomorrow. While some (rightly) criticize this trilogy for stretching out the story beyond its merit, it only runs around nine hours in total. So, the next time I have two consecutive days off (time for watching, time for sleeping/recovery), I plan to marathon all six movies, from beginning to end, in one, single sitting. All added up, I’m looking at somewhere between 21-22 hours, give or take a little for disc changes and load times. I’m not sure I have the constitution to last the entirety, but with your sword, bow and axe, you can be sure I’ll stand a fighting chance. 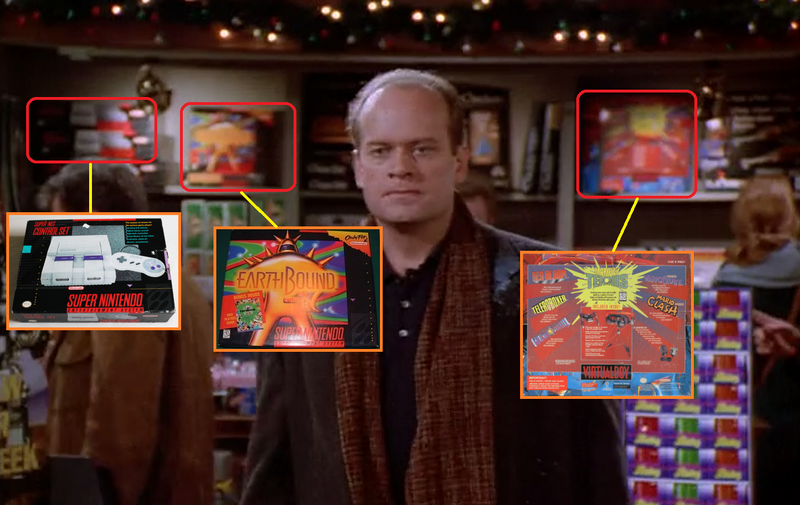 I was watching this 1995-episode of Frasier as I did my daily walk on the treadmill when I noticed some familiar items in the background of this toy store. 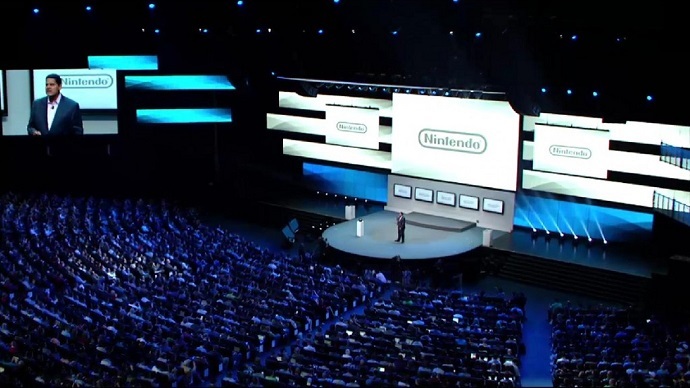 The first image highlighted by the red rectangle on the left is a stack of Super NES systems. In the shot they’re only seen from from the side. I couldn’t find any good images of the box from its side, and I didn’t feel like digging out my old box, but if you look at the bottom of the lower image, you’ll see the side (at an angle), which matches up exactly to the box in the scene. It’s not a Super Set, which came bundled with Super Mario World, rather, it’s just the Control Set (no games included). The second image is of the famously-large box for EarthBound (an expensive and hard-to-find SNES classic), which included a large player’s guide and some heinously stinky scratch-and-sniff cards (mine still smell). It’s turned slightly at an angle, showing its right side. You can see that it’s sitting atop another EarthBound box, which is lying face-down. And lastly, the image on the right is the back of a Virtual Boy box. I’d recognize that hideous art anywhere, haha. That poor machine was only available at retail for seven months in the US before Nintendo pulled the plug. It’s kind of a weird system to collect games for, as only 22 were made between Japan and the US. Wario Land is actually a pretty fun game, though. It’s got a lot of dimensional depth and cool spritework. Had limitations (and other hindrances) not held it back, a full-color Wario Land would’ve been beautiful. This episode of Frasier aired on December 19, just under a week before Christmas. EarthBound and the Virtual Boy had just been released that summer, so I imagine Nintendo was hoping for them to be big-ish sellers during the holiday season. Sadly, neither sold exceptionally well, although EarthBound was a sleeper hit at the time and wound up gaining a major cult following in the years that followed. The Nintendo 64 was set to launch in September of ’96 in the US, so the SNES was very much at the end of its life cycle at this point. That explains much of EarthBound’s lack of initial success, but the Virtual Boy was a flop because it was just so poorly conceived in so many aspects, and its sales reflected that. 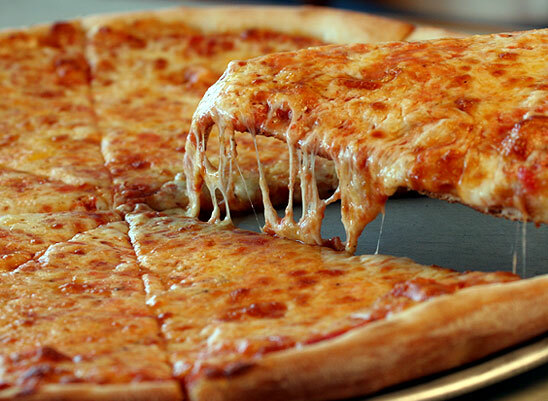 Ordering a pizza to your house is kind of an interesting concept when you suffer from even a little social anxiety. Thanks to the glory of the internet, you can bypass at least one obstacle just by ordering online. No more awkwardly-phrased, poorly-executed orders over the phone with someone who keeps incorrectly repeating your order back to you. So that’s out of the way. Finally – FINALLY – you see the headlights from the delivery guy’s car through the windows as he pulls into your driveway. At this point, the mood is like a mix of the dread and urgency that comes when the president puts the military at DEFCON 2 in anticipation of a declaration of war, mixed with the bated excitement that comes with the impending arrival of Christmas, the Super Bowl, a new Star Wars movie and other religious holidays. Everyone’s running through the house, flailing their arms about and yelping cries of joy. The pizza hysteria sets in and you go from doing an awkward white guy celebration dance, shouting, “YEAH! PIZZA’S HEEERRREEE, BOYEEE!! !” to panicking and yell-whispering, “Ohmygawd, where’s the money? !” “We paid online!” “How much do we tip the guy? !” “We already paid the tip online!” as if the delivery guy has supersensory hearing and will drive off with your pizzas if he hears you talking about the money. And there it is. He’s here. With our pizzas. The delivery guy. Maybe if we don’t move and stop talking, he’ll just leave the pizzas at the door and leave like UPS or something. Nope, gotta be an adult. Your ratty Simpsons t-shirt with the spaghetti sauce stain that won’t come out, and the “lived-in” look of your sweatpants really add to the casual, nonchalant attitude you’re trying to convey. It’s as if you just got out of bed, but hey, maybe you did. You can tell the pizza dude is impressed. Then you make short, awkward conversation as he hands you a pen and a receipt, which you sign and then exchange for the pizza as if this is a hostage negotiation. Just hand me the pies and no one gets hurt! Once you’ve made the hand-off and the pizza dude is walking back to his car, the last bit of paranoia sets in as you hope he knows you’re not stiffing him on a tip. But now the door is shut and locked, and at last, you’re reunited with the love of your life. There’s a little boy who comes into the store with his dad about once a week or so. He’s about four or five years old and wears big blue glasses. He’s a super cute kid, and the things he says and does crack me up, but you can tell his dad – who’s a very nice guy, and looks like he’s just trying to find a minute to browse – is always a little on-edge because of what Graham is liable to say or do. Noticeably startled, his dad retorted, “What?! No! Never!” with a horrified look plastered on his face that said he’d probably done it before and wouldn’t hesitate to do it again. I had to spin around and cover my mouth to conceal my giggling. Last week, Graham was tagging along behind his dad while slurping on a straw stuck in his juice box. He stopped to look at something that had caught his eye before scrambling to catch up to his dad who was moseying through the movies. It was at this point he spotted me and spouted, “Dad! I’m gonna go talk to that boy about the Ninja Turtles!” We’ve shared our mutual love for the Turtles a number of times in the past, so he’s always got something new (TMNT-related) to talk about. This time, he had me follow him to the TMNT DVD’s and asked me about the original animated cartoon (1987) and the first live-action movie (1990) because he’d never seen them before. He only knows the newer CGI series on Nickelodeon (which is pretty good, by the way), so the older stuff is brand new to him. I explained that the old stuff is what I grew up with when I was his age, which he seemed to think was pretty cool.